What I do not plan to share is my precious stash of hard pretzels. 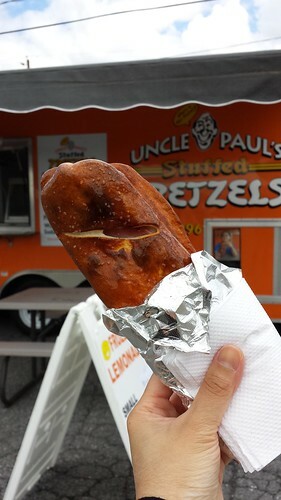 I love pretzels and Pennsylvania Dutch are experts. In my neck of the woods, pretzel selection is paltry. I was giddy by the dazzling choices of regional brands I only heard of by name before. A pound if Unique Splits, some Thomas Sturgis Original, and some Faller’s extra dark completed my pretzel shopping spree. Obviously I did not just indulge in pretzels. 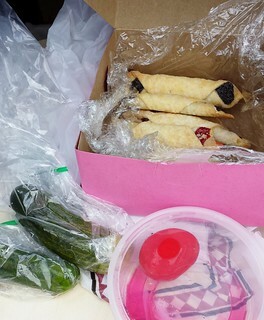 I noticed people were strolling around the market nibbling on pickles on a stick. 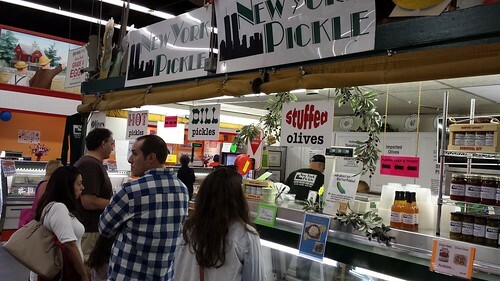 I followed the footsteps and found myself in front of New York Pickles. 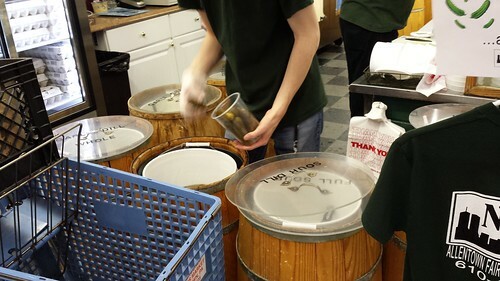 Barrels of new, half sour, and full sour caused my eyes to lit up. Last time I had half sour was at Katz’s in NYC. I loved the briny crunch before the cucumbers became fully fermented. I bought a couple of pieces to enjoy back home. A delicacy I saw all over the market was beet pickled eggs. I have a taste of pickled eggs every now and then but never go out of my way to look for them. The ubiquitous bright pink caught my eyes and I bought one for lunch. Protein is good, right? 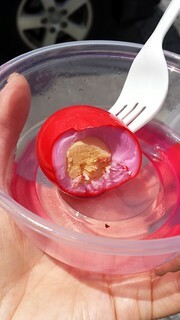 When I bit into the egg, I was surprise to see that it was pink inside and out. How pretty! It wasn’t rubbery which added to its colourful appeal. You see the box of pastry in the background? 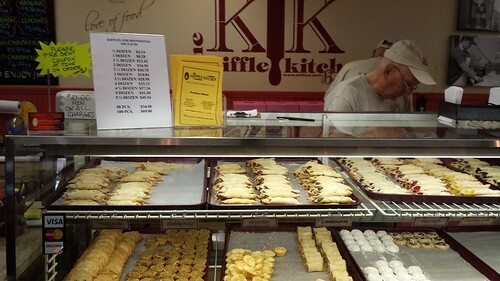 Those are kiffles from Kiffle Kitchen. The tender pastry is filled with a variety of filling. Of course I ordered one of each. It was not surprise that my favourites were the more traditional ones. Poppy seed and lekvar were my favourites though chocolate wasn’t too bad either. The nice lady at the counter gave me a complimentary kiffle when she found out that I am from out of town and never had kiffles before. I was very tempted to buy a shoofly pie especially when I saw the distinction between wet and extra wet at one bakery. The molasses pie is another Pennsylvanian specialty but a whole pie is hard to finish between two people. I wisely walked away from it. 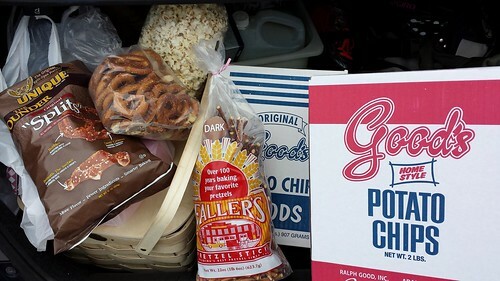 With all the hard pretzels loaded into my car, you would think I got it out of my system. Not so fast! There were soft pretzels to sample. 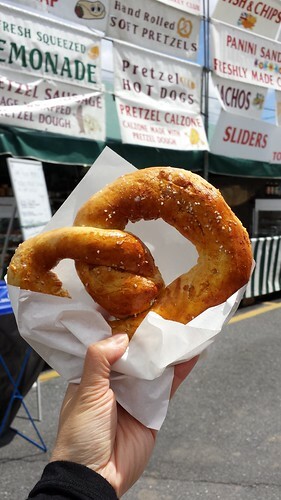 Fans of different styles of soft pretzels sing praises for the unique characteristics of each. I was simply happy to have the opportunity to experience them fresh. In case you haven’t figure it out, good soft pretzel is also a rarity in Toronto. 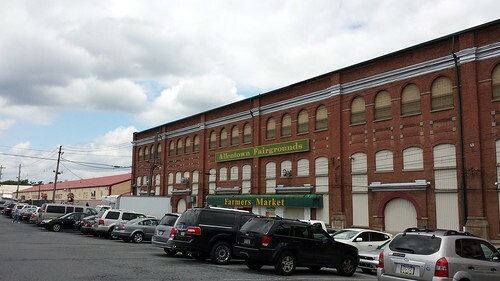 The farmers market is located at the Allentown Fairgrounds. Over the Memorial Day long weekend, MayFair was at full swing. I could not miss out. 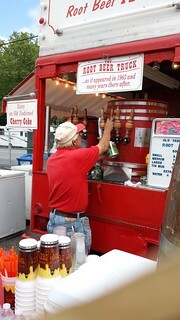 Food trucks and stalls were main attractions at the fair. The distinctive smell of junk food beckoned every visitor the minute you set foot at the entrance. 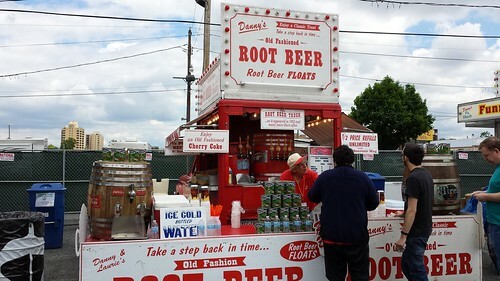 I was immediately drawn to the old-fashioned root beer truck. On that sunny warm day, a classic root beer float served from the keg totally hit the spot. 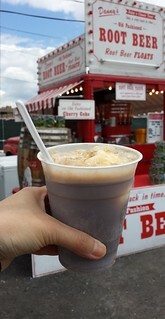 Sure the root beer was a little too sweet and the vanilla ice cream was meh, but it tasted like summer. I sampled two different soft pretzels. One was a classic twist, fluffy and sweet (Philadelphia style). It was so buttery and warm and soft! The other was dark and shiny, stuffed with ham and cheese. Both were made on site since I caught glimpses of rising dough on the work counter. I liked them both for different reasons though the taste of a fresh-out-of-the-oven pretzel in Berlin still ranks number one in my taste memory. It took an immense amount of self control to put away my half-eaten pretzels. They were so good yet I knew finishing both were bad ideas. 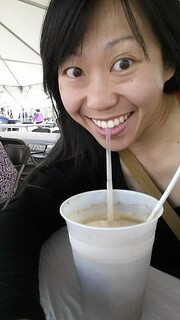 I am glad to drop by Allentown Fairgrounds before my long drive back to Toronto. Now which bag of pretzels should I open first?